Not all medieval gauntlets were flexible and jointed. After all, joints were the weakest point of an armor. These Steel Half Gauntlets eliminate that weakness, and instead, feature solid steel construction that helps to keep your hands safe in combat. 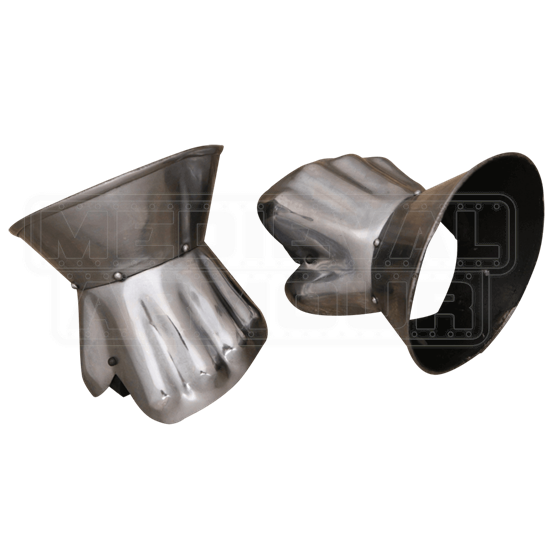 These gauntlets are made entirely from 16 gauge mild steel and have a distinctive construction that combines a round cuff about the wrist with a shaped knuckle and thumb guard. While inflexible and rigid, the guard also performs very well as armor, ensuring that any rogue strikes that do hit your hands do far less damage when they hit these half gauntlets. They are offered in one size, and come complete with a leather strap, which is ideally suited for securing the half-gauntlets in place. The gauntlets have a brushed exterior finish, and are bare steel on the interior. 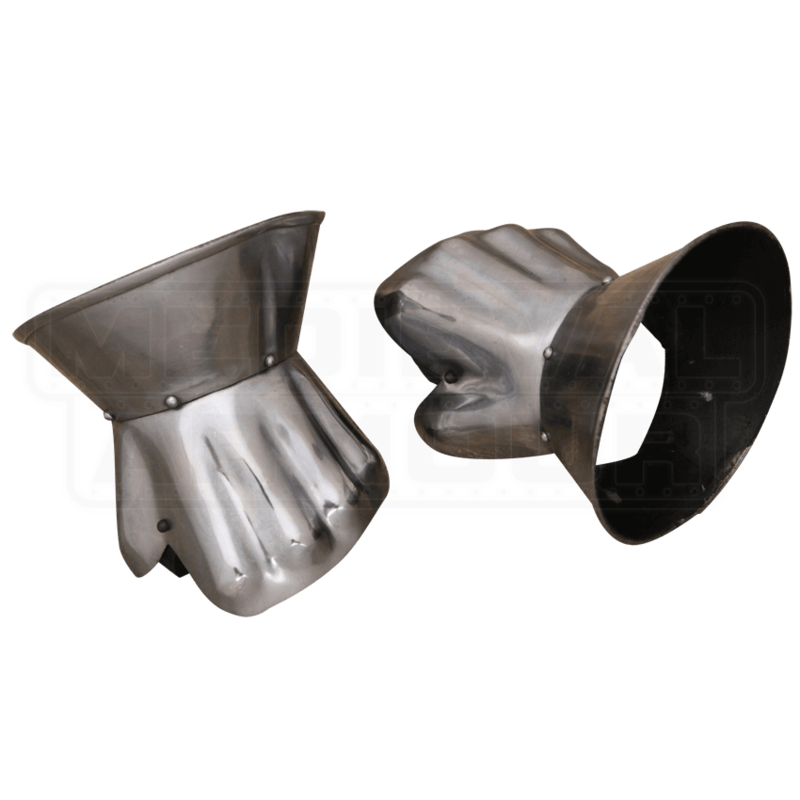 The 16 gauge construction on these Steel Half Gauntlets makes them a solid choice for SCA and light reenactments, where solid armor and good protection are must-haves for those involved.